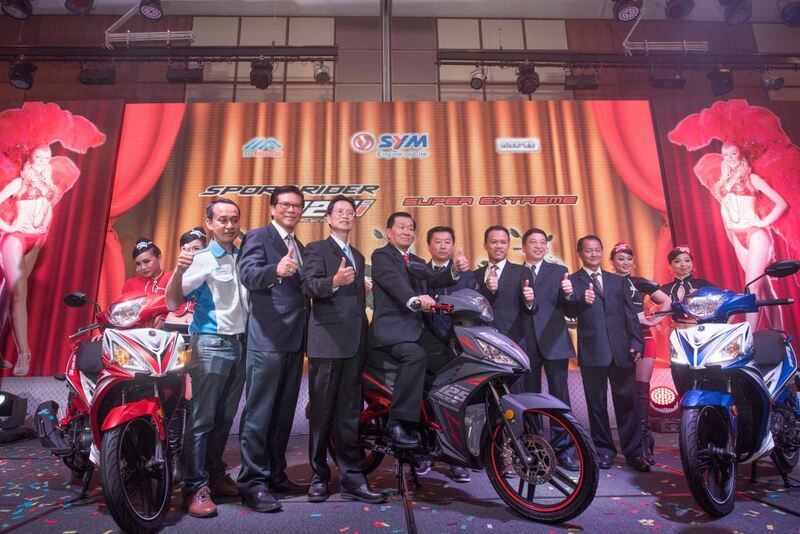 [Georgetown – 26 August 2016] SYM Malaysia launched its first fuel injected 125 cc underborn, the new SYM Sport Rider 125i in Penang today. Malaysia is the first country in the world that launching this brand new design to provide a ‘super extreme’ riding experience to the riders. It is expected to be another hit in kapchai segment after the success introducing of a few popular underbones including the SYM Sport Bonus 115 and SYM E Bonus 110. With its modern sharp outlook, the SYM Sport Rider 125i contains a few superbike design elements such as tubular framework of naked bike at sides, sporty-looking muffler and fender at the rear. Its sharp aerodynamic appearance not only guarantees admiration but also ensures performance with economy. 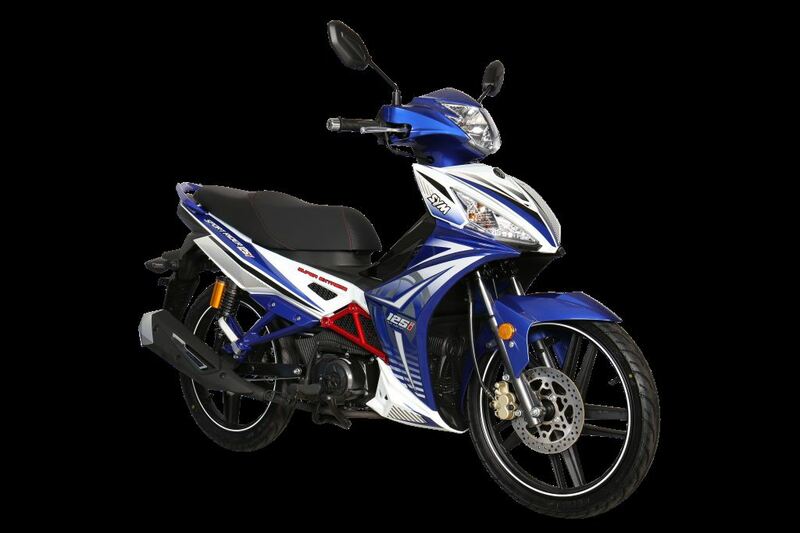 The SYM Sport Riders 125i comes with a two-valve SOHC engine that produces 9.5 horsepower at 8,000 rpm and 1.10kgf m torque at 5,500 rpm that giving Euro 3 emissions compliance. Incorporating with the latest fuel injection technology (EFI), the engine has better acceleration and more economical in fuel consumption. The SYM Sport Riders 125i has a stylish designed digital panel meter in LCD for easy data reading. Weighing in at 107 kg, the SYM Sport Riders 125i comes with a 4.2-litre fuel tank under the seat. Braking is taken care of by hydraulic discs front and drum rear, attached to cast alloy wheels. The bright daytime running front LED light and signal ensure the motorcycle can be seen from far easily for rider-safety measure which are also Euro 4 compliance. Tubeless tires reduce the chances of immediate deflation in case of puncture. The seats for rider and pillion are designed to be apart. This unique design feature is the first in Malaysia to enhance the comfort level and safety of both passengers. There is a spacious and hassle-free storage space underneath the seat to store your personal belongings. A special warranty is offered for the SYM Sport Rider 125i for three-years or 30,000 km including one-year or 10,000 km engine warranty. The SYM Sport Rider 125i retails for RM5,450.00 (exclusive GST) which is the most competitive selling price in the market of 125 cc underborne. There are three vibrant colour choices in red, blue and yellow. The SYM Sport Rider will be available at all authorized dealer showrooms nationwide from September 2016 onwards. Inception in 2008, MForce Bike Holdings Sdn Bhd owned the distribution of SYM motorcycles in Malaysia. Coupling the ability of making sophisticated and high performance engines with the strength in integrating design and development of motorcycles, SYM Malaysia has become one of the well-received motorcycle brands in Malaysia which has been assembled more than three hundred thousand units of motorcycle locally. With the passion over product innovation, SYM produces world-class motorcycles that providing exquisite and sensational experience in your every ride. SYM is proactively expanding overseas motorcycle markets and develop a stronger global network to strengthen R&D, production, marketing and service system in order to become one of the most renowned motorcycle brands in the world.